From 1998 to 2007, Mr Tanaka became Corporate Director responsible for strategy, planning and budgeting including coordination of the strategic planning function, formulation and monitoring of the annual business plan and budget, and for operational and strategic portfolio management analysis. 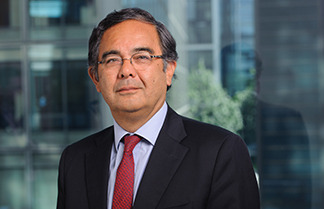 Prior to joining the Bank, Josué Tanaka worked at the World Bank where he was Special Assistant to the President. He worked in various positions on strategic planning, agricultural projects and forest conservation in Madagascar and on the development of the Environmental Programme for the Mediterranean. A national of France and Brazil, Josué Tanaka graduated from Princeton University with a Bachelor of Science in Engineering and holds a Master of Science and PhD from the Massachusetts Institute of Technology (MIT).